186 men, women and children (including 38 families) were freed from multi-generational bonded slavery in northern India, close to the Nepal border. After weeks of following up on a tip that there was a large number of families held captive as agricultural bonded laborers in a remote village in northern India, Justice Ventures International (JVI) and its local justice partner joined forces once again with the National Human Rights Commission (NHRC), local government officials, and the police to venture forth early last Thursday morning to rescue these victims. 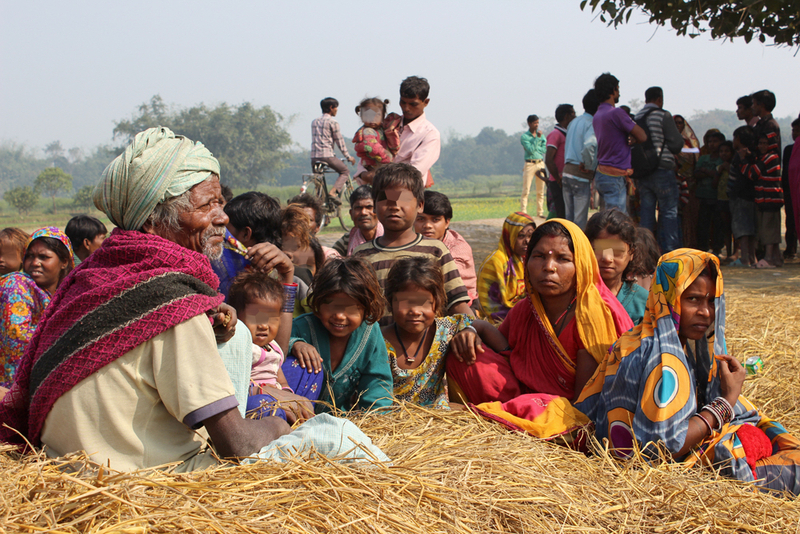 Another survivor, a fifty-year old father of seven children, told a JVI team member that his family had been trapped in the Kamiya system (a multi-generational form of bonded labor slavery in the agricultural sector) for the last three generations. He testified that in return for his work laboring in the fields and taking care of animals, he received only two kilograms (4.5lbs) of grains per day for his entire family of nine. He received no other compensation. In addition, his entire family was forced to work as well, and when he did try to leave the village, he had to leave his wife and children behind. The owner would then force his wife and children to work more in his absence, until the man was found and forcibly brought back and beaten. He testified that his father had also been brutally beaten, and then ran away, only to be caught by the owner and forcibly brought back again. JVI and NHRC are working with government officials to ensure Release Certificates are provided to the victims, enabling them to access government rehabilitation benefits. This rescue comes on the heels of JVI’s recent multi-generational bonded slavery rescue in Bihar, India, where another 160 people were freed in October 2014. *This rescue was conducted with the generous support of IJM under the Google Intervention Project. All content and images are the property of JVI © 2015. Public Hearing on Bonded Labour Organised in Bihar. Justice Ventures International secures freedom, justice and restoration for the poor and oppressed by strengthening ventures that promote justice.